What does an engineer do when his career path has taken him far from his original field of study and love of graphics and design? 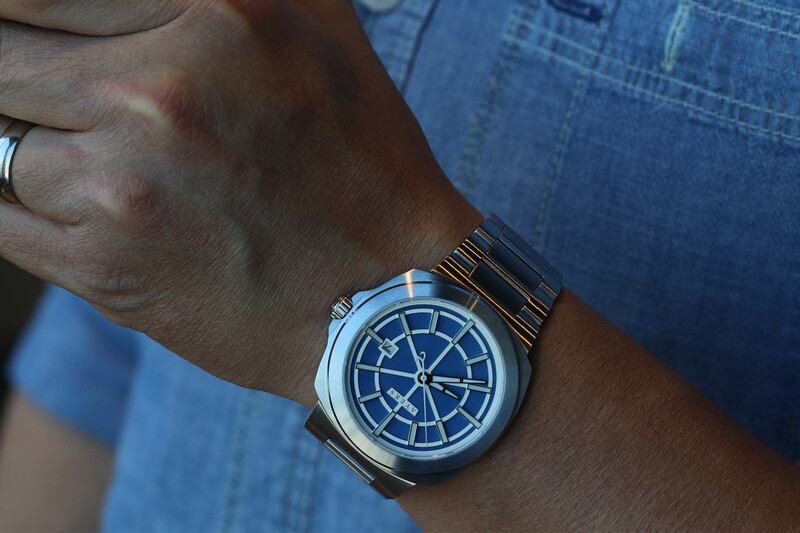 Well, if you’re Glenn Lim, you set out to create high-quality, yet accessible mechanical wristwatches. 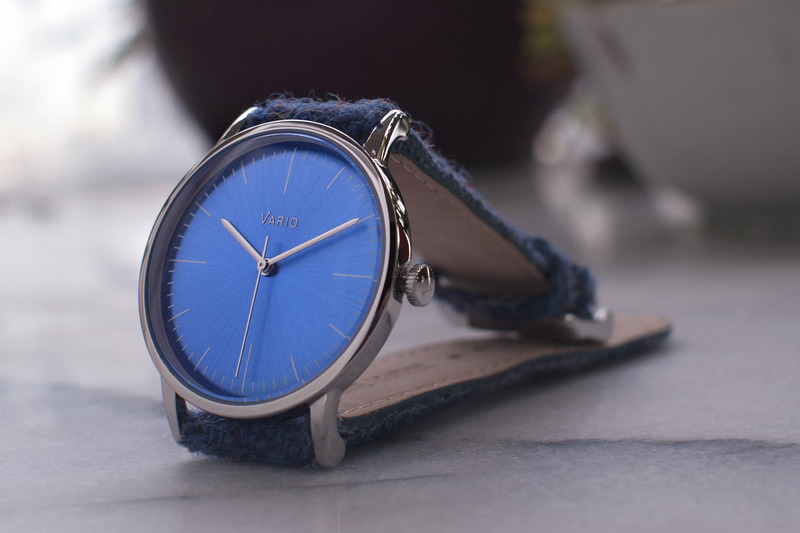 Founded in 2016 with his wife, Sally Lim, Ayers Watches is a new Australian micro brand that focuses on creating exclusive designs using premium materials. 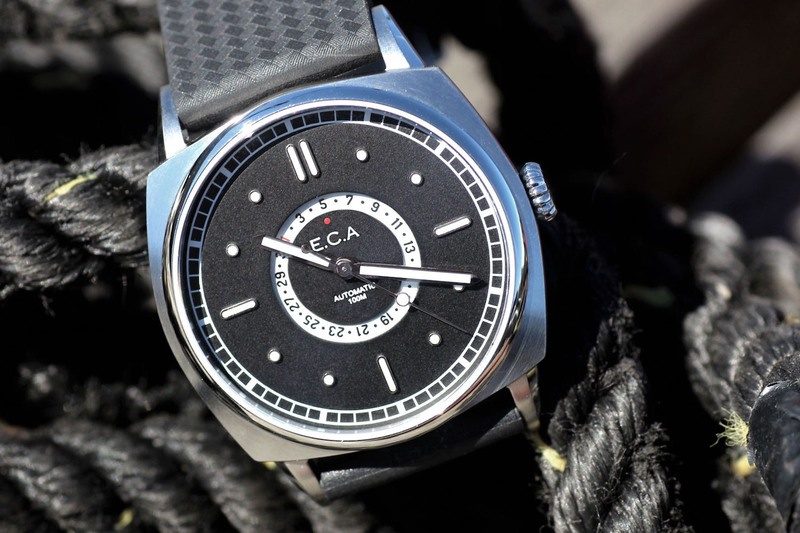 The company’s first watch collection, the Metropolitan, has just launched on Kickstarter, so we thought we’d take a closer look. Born in Malaysia, Glenn Lim grew up in Australia before moving to the watch mecca that is Hong Kong with his wife in 2013. Already interested in watches, residency in one of the world’s biggest luxury watch markets turned this budding enthusiast into a full-blown obsessive. 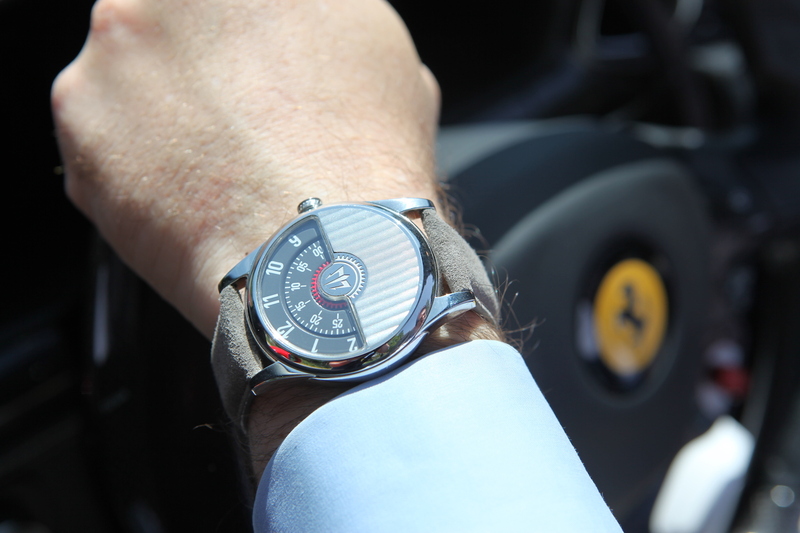 There was just one problem – high-end mechanical watches are expensive and temptation in the city is everywhere. This led Lim to develop an interest in micro brands, and eventually, form some local contacts in the business. 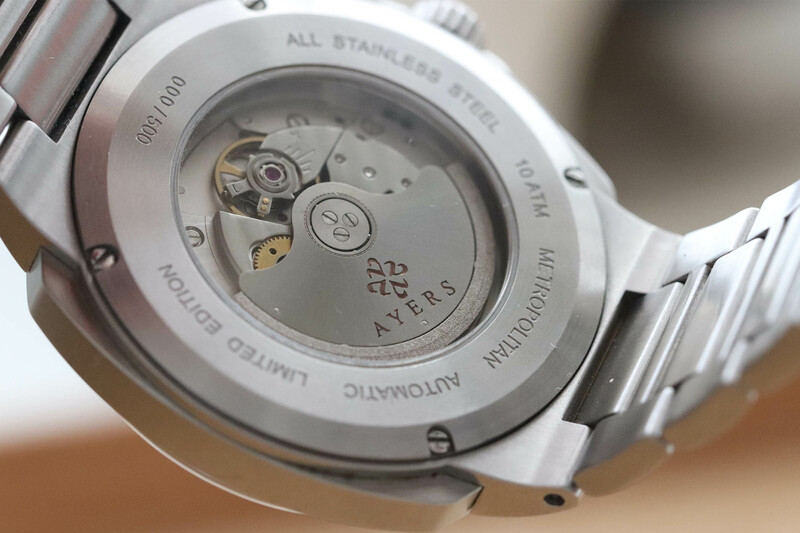 In 2016, he decided to create his own brand and Ayers Watches was born. 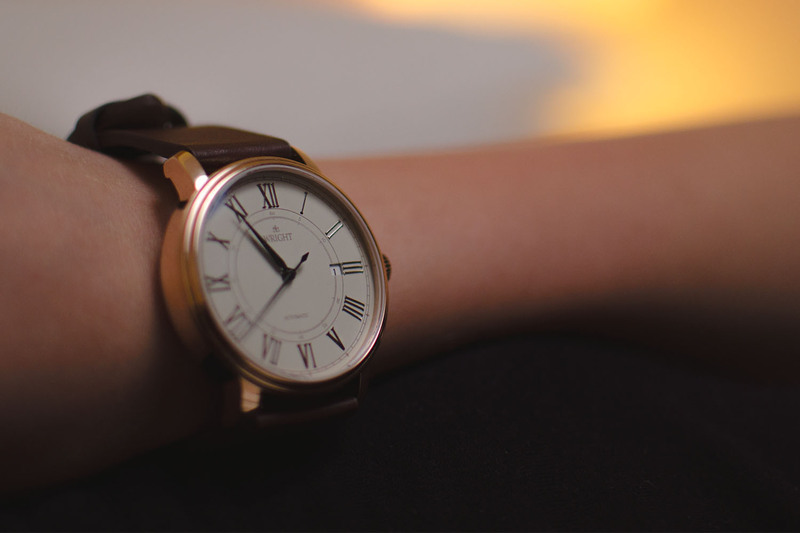 The company’s first watch, currently seeking funding on Kickstarter, is the Metropolitan. 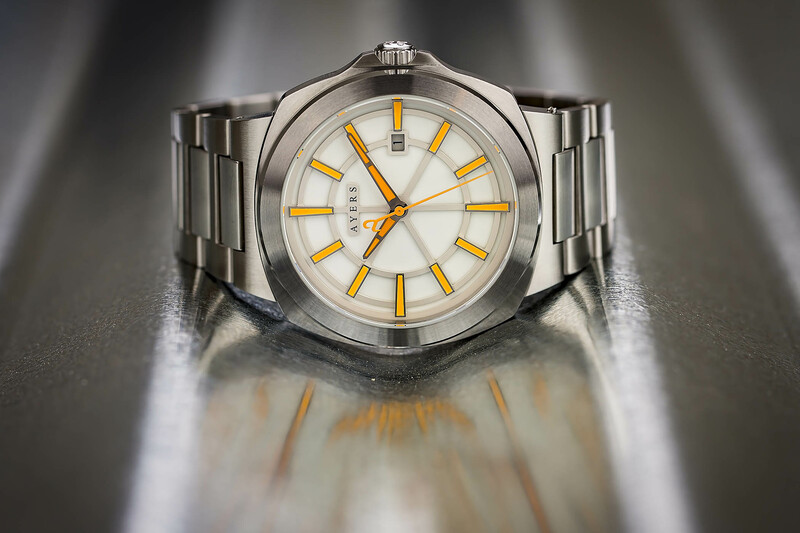 Offered in a 44mm 316L stainless steel, cushion-shaped case with a circular bezel, the distinctive design is inspired by a mix of retro architecture and modern cityscapes. This influence is most evident in the multi-layer sandwich dial, which divides the face into clearly defined 10 min/sec sectors. It also adds depth and a sense of contrast to an otherwise very minimalist display that features the time and date only. I particularly like the contrasting baton markers for the hours. Initially, there will be four dial combinations available: dark blue with white indices, white with dark grey indices, white with dark orange indices and dark grey with white indices. 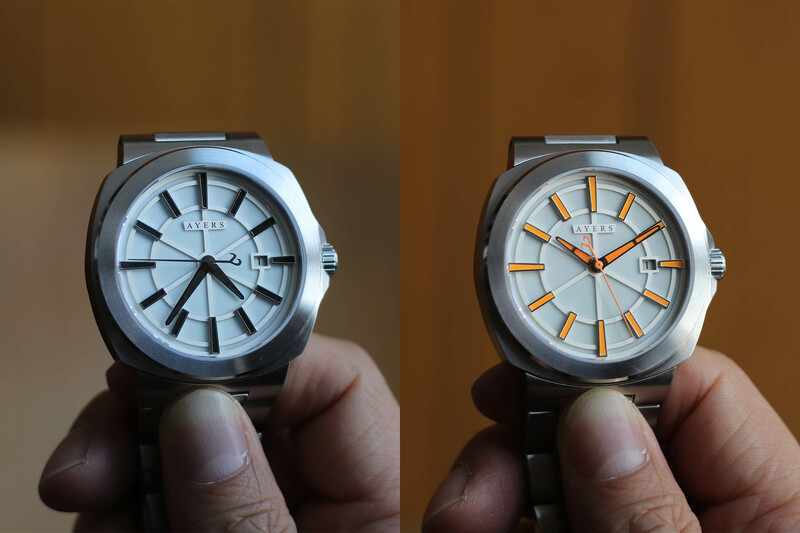 What really makes these dials pop, however, is the full Swiss Super-LumiNova® (nightglow) treatment they’ve received, including on the hour and minute hands, which, as you can see in the photos, looks quite spectacular. 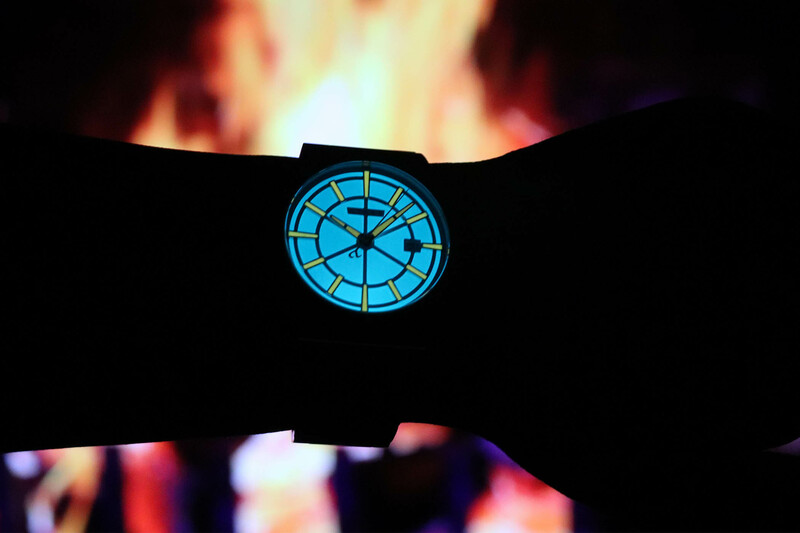 You certainly won’t have any issues reading your watch in low light conditions (or finding it, for that matter). 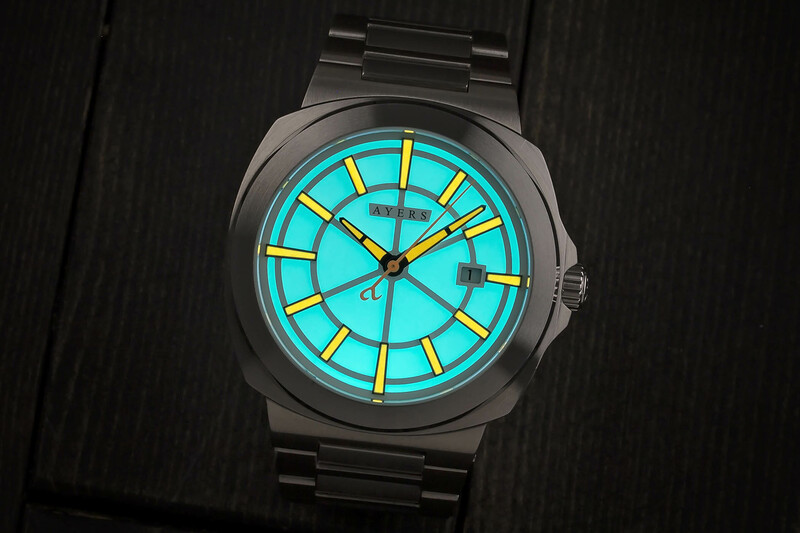 Despite its relatively large case size, the Metropolitan is a relatively thin watch at just 10.50mm, meaning it probably wears more discreetly on the wrist than one might initially expect. 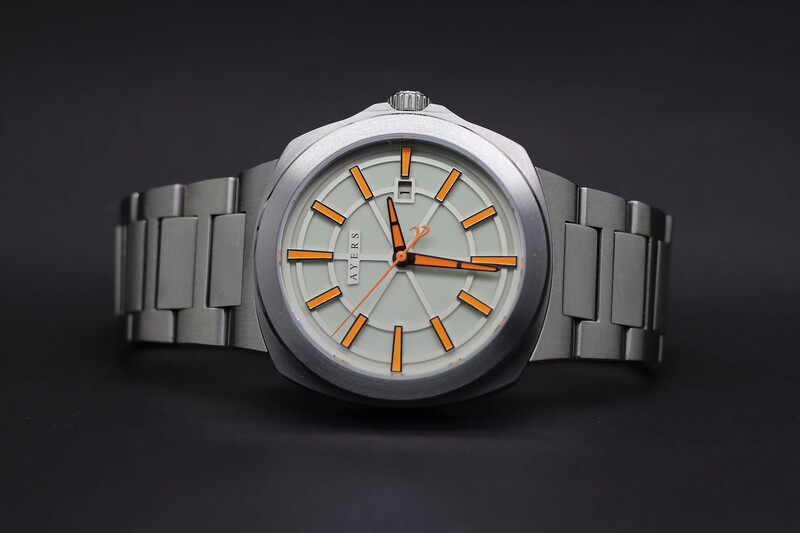 This is made possible by the decision to use a slim, Japanese-made Miyota 9015 automatic movement. A tried and tested workhorse, it is visible through the sapphire exhibition case back. 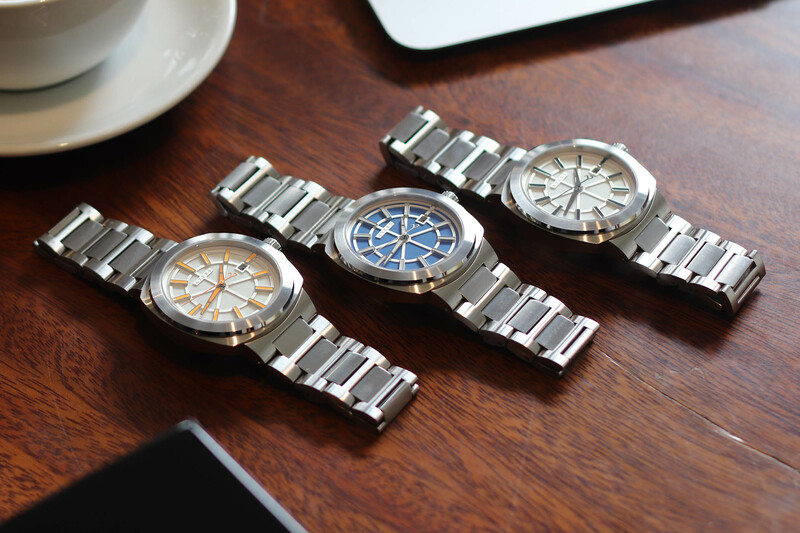 It’s not a Swiss-made movement, which is reflected in the price, but it does have a solid reputation, with Seiko and Miyota movements proving popular with these types of micro brands. 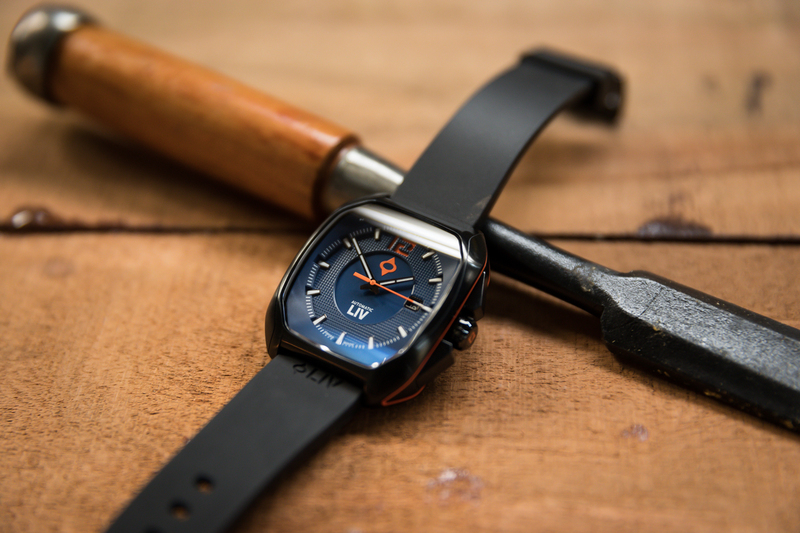 It’s obvious that Lim wants to ensure that his watches offer good value for money whilst still delivering a premium experience and I think he has done a job of this. For example, the bracelet is made of solid steel instead of hollowed steel, giving it a bit more weight on the wrist and an associated feel of quality, and is closed by butterfly clasps. Likewise, the case features a screwed-down crown and is water-resistant to 100m, which is more than adequate to ensure you can safely wear it while swimming or snorkelling. 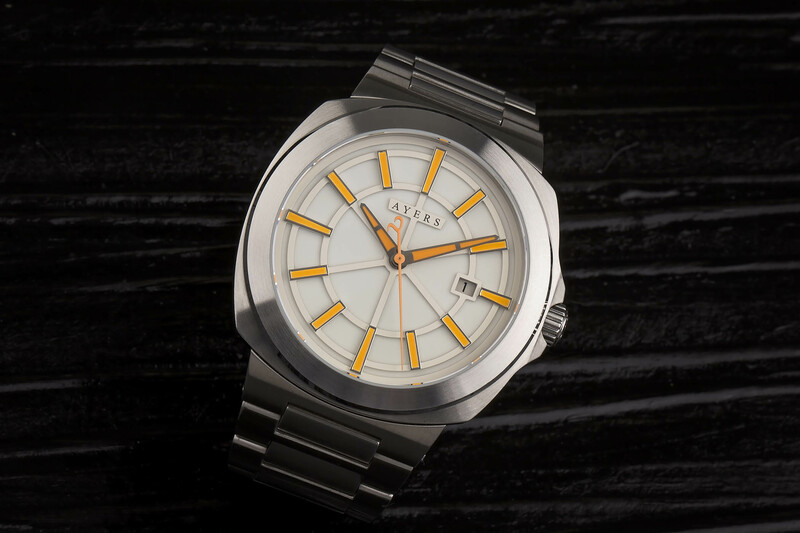 For more information on how to secure your own Metropolitan watch from Ayers Watches, please visit the official Kickstarter campaign.